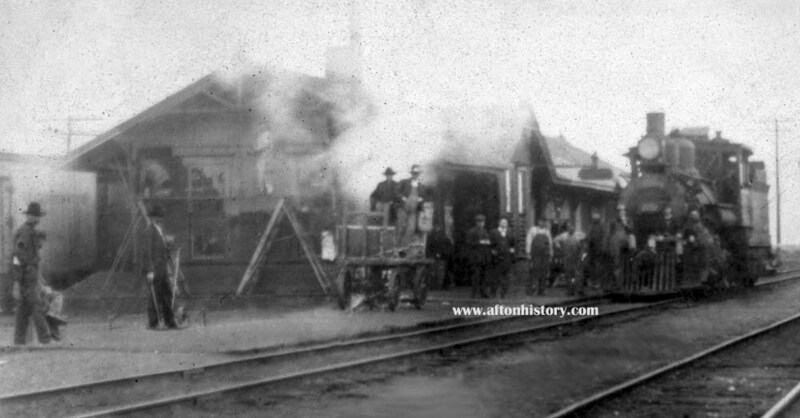 This photo is of an early depot with an eastbound steam engine in front. It also appears that the depot is receiving a paint job, as seen by the men on the scaffolding. Note the track behind the depot.